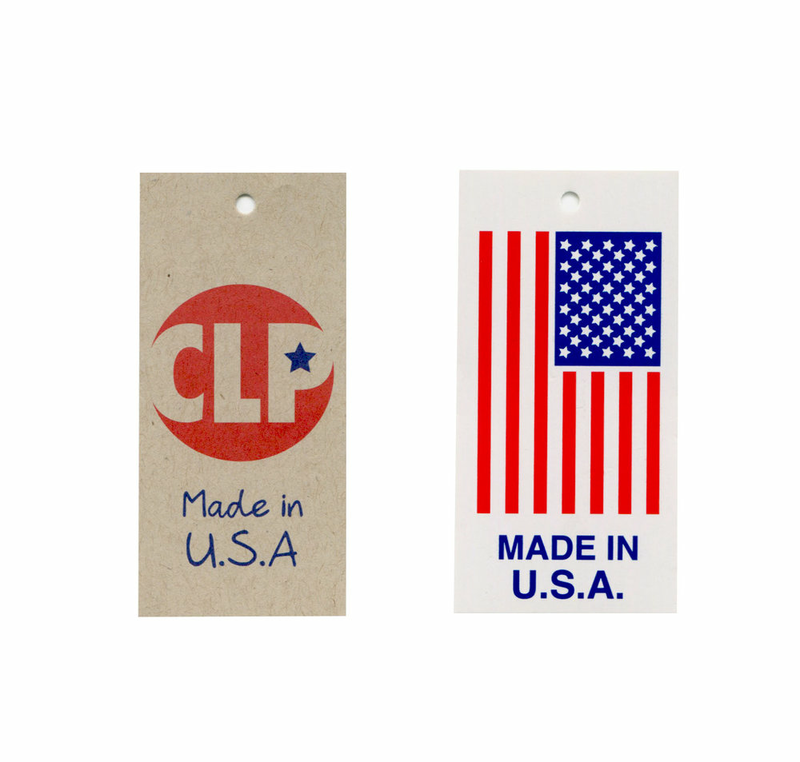 CLP has a great line of domestic trims that are proudly Made in America. These products consist of printed labels, hangtags, heat transfers, and stickers. Minimums and lead times vary depending on product. Printed labels are perfect for very detailed designs that would not translate well on a woven label. CLP offers domestic flexo print -printing process with plates. Hangtags are an excellent marketing tool that can be used to enhance how the customer perceives your product and your brand. Our hangtags are all custom-made to each customer's individual needs. CLP produces labels with quality print on a variety of material with different adhesive and finishes, custom to what you need.